The leak exposed personal data including Social Security numbers to the assigned posts of critical members of the US military, some of whom hold the highest levels of security clearance. 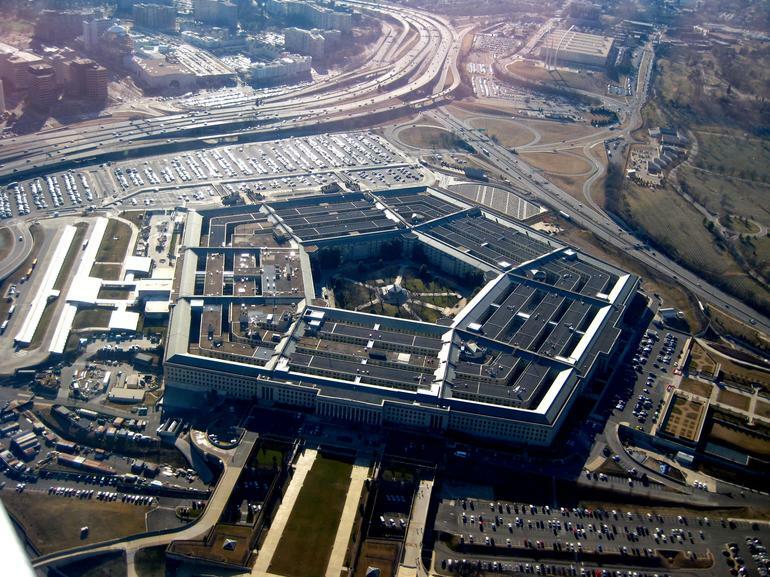 A Pentagon subcontractor has exposed reams of highly sensitive details belonging to active military healthcare professionals online, some of which hold top-secret security clearances. Potomac Healthcare Solutions, a subcontractor brought on board to supply healthcare professionals to the US government and military organizations through its Washington, DC.-based contractor Booz Allen Hamilton, was the source of the data leak. Chris Vickery, lead security researcher of the MacKeeper Security Center, who found the data, told ZDNet in an email that Potomac’s own insecure server was the source of the leak. Samples of the leaked data provided by Vickery and also reviewed by ZDNet revealed that the personal data of US military personnel was open for all eyes to see, with little in the way to prevent it from being abused. Many of the victims involved in the data leak are part of the US Special Operations Command (SOCOM), which includes those both formerly employed by US military branches, such as the Army, Navy, and Air Force, and those presumably still on active deployment. The bulk of the data is made up of military personnel files and lists of physical and mental health support staff, including nurses, doctors, and mental health professionals. Names, contract types, Social Security numbers, and duty start dates — dating back to 1998 — as well as billet numbers that detail the living quarters for when staff are not on active duty, are all included in the information leak. Unit assignments and places of work, which include military bases and their postings worldwide, were also in the documents. Many of those named in the leaked personnel files are linked to SOCOM’s Preservation of the Force and Families (POTFF) program, a scheme that aims to ease the psychological and physical burdens often placed on military personnel and their families through unit-specific teams of healthcare professionals and counsellors. The files include names of social workers, physical therapists, nurses and assistants, doctors, and psychologists, which alongside detail the states of their residency, pay scales, contract start and term dates, units and work locations. The documents supplied by Vickery also revealed a “master tracking list” of POTFF personnel personal data and their security clearance levels. Some of those possess “top secret” clearance, including access to sensitive compartmented information (TS/SCI) — typically only granted to vetted staff who are then hired to work on sensitive special access programs. The list also revealed the name and location of one special forces data analyst, who was awarded top-tier clearance. Access to that level of information would be highly sought-after by a foreign power, which could use the information to target the military member for conducting espionage. Vickery described the incident and its potential implications in a blog post. “It’s not hard to imagine a Hollywood plotline in which a situation like this results in someone being kidnapped or blackmailed for information. Let’s hope that I was the only outsider to come across this gem. Let’s really hope that no hostile entities found it,” he said. “Loose backups sink ships,” he added, highlighting how severe the consequences could be for military agencies. Vickery’s discovery, however, was not as the result of any complicated heist, malware infection, or attack on the researcher’s part. Rather, it was the subcontractor’s own insecure server and use of “rsync,” a common protocol used for synchronizing copies of files between two different computers, which weren’t protected with a username or password. Vickery said he believes the security failure could be down to a backup device of some kind which was misconfigured. He said that at least 11 gigabytes of data was exposed by the leaky system, but he added that he was not certain just how much sensitive information in total was available for the taking. Potomac since secured the data after Vickery told it of the leak. Despite sending numerous emails Tom Burden, co-chief executive of Potomac, the company hasn’t contacted the researcher since. The consequences of the leak could be severe — not just for the healthcare personnel provider but the victims of information disclosure themselves. This kind of data can be used in all manner of identity theft schemes and added to the release of security clearance levels to public eyes, staffers may have been placed at serious risk. When reached, Burden said in an email that the company did “acknowledge” Vickery’s email, adding that the company was “addressing” the incident.